Thanks For Hopping Over Here: Science is "Toad"ally Fun! This week was tadpole week for the kindergartners. Let's just say, I showed the first through fifth graders, too! They are always mesmerized by real animals! 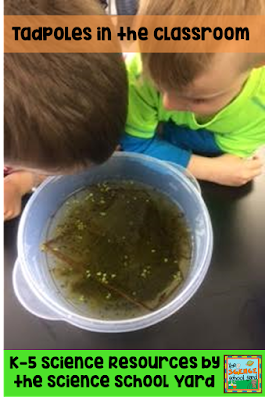 When we are done with them this week, my third graders will be using the water to do pond study and habitats! They are taking a trip to a local pond where a real live scientist will be working with them on not only habitats, but food chains and animals found in the pond. How can you make your learners "HOPPY"? Here are three easy steps to doing just that! 1. Use interactive Google activities. 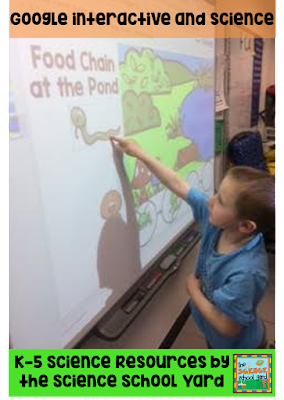 My littles love to go up to the smartboard and move the pieces around. Their behavior has also improved as I call on "good listeners" first. 2. Bring in live specimen when you can. That could mean crickets to teach insects, goldfish to teach about fish, or worms that you find in a garden. They are quick learning tools to get kids excited as well as learn how to care for animals in and out of their habitat! habitats, life cycles, food chain as well as language arts and math! When they are all finished we even throw in a STEM project! It is perfect for this time of year! I also want to thank you by giving away a $10 TPT gift card. All you have to do is follow my blog or sign up for my newsletter as well as leave a comment below sharing one thing that I could do to help you make science easier or a product that you would LOVE to see in my store. I will post the winner here on my blog Wednesday Morning! I appreciate you! Thank you for stopping by and letting me be a part of your School Yard! 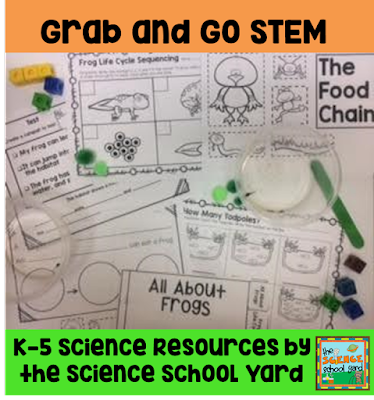 Science stations make my science time much easier, so does reading your blog! Thank YOU for all you do! I really want to do more experiments, but they have to be super easy and require little prep. Do you have any ideas for something I could start doing now?